The weekend is on the horizon! If you find yourself looking for something to do this weekend, we have plenty of reasons to visit Hendricks County including drag racing, an opportunity for gardeners, a family-friendly festival, a 5K run/walk and a couple of additional great ways to get outdoors and stretch your legs. That thunderous roar that you&apos;ll hear in Brownsburg this weekend is the sound of 700 drag racers converging on Lucas Oil Raceway for the Ray Skillman Spring Spectacle of Speed. The NHRA&apos;s Lucas Oil Drag Racing Series comes to town to unleash the fury of their beasts on the drag strip, hitting speeds of over 250 mph. The race crews arrive on Thursday to do some open testing, and then time trials and qualifying begin on Friday. Eliminations begin Saturday, and the racing goes full throttle into Sunday. Tickets are a ridiculously low $10 each per day, and every ticket is also a pit pass. For the complete schedule of events, click here. This particular weekend event is near and dear to my heart: the Avon Outdoor Learning Center is hosting its 15th Annual Native Plant Sale & Every Day is Earth Day Event on Friday and Saturday. I&apos;m a big fan of nature and an even bigger fan of educating children, so I highly encourage everyone to check out this event. If you&apos;re unfamiliar, the Avon Outdoor Learning Center is a 7-acre facility located at 7237 E. U.S. 36 in Avon, right behind Maple Elementary School, and it provides kids with the opportunity to...well...learn outdoors. Through the Avon Outdoor Learning Center, nearly 11,000 area students per year have the opportunity to get some hands-on experience with what they&apos;re learning in the classroom. 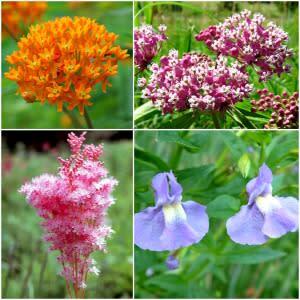 So whether you&apos;re in it for nature or for the kids (or both), come out to Avon for their native plant sale. They&apos;re selling plants only on Friday from 4 to 7 p.m., but on Saturday from 9 a.m. to 3 p.m., the Every Day is Earth Day Event takes place alongside the native plant sale, featuring gardening and cooking demonstrations, face painting, games, hiking opportunities and more family fun. Click here for more information. You can also visit McCloud Nature Park outside of North Salem on Saturday at 2 p.m. for an Arboretum Walk. Arbor Day is the day before, so celebrate trees by taking a stroll with a Park Naturalist through the new arboretum that was planted in the park in October. See how the new park feature is progressing and learn about the trees that are native to Indiana. Both programs are free to attend and appropriate for all ages. For more information, click here. 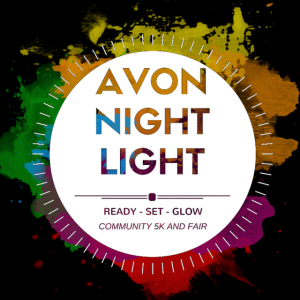 The Avon High School student government is hosting Avon Night Light on Saturday from 6 to 9 p.m. at the Hendricks Regional Health YMCA. There is a free family-friendly festival taking place that includes bounce houses, games, a DJ playing music, food trucks and booths to provide an evening full of fun. Additionally, there is a 5K run/walk that will be held during the event. Registration is a mere $15 per person and can be completed online before 11:59 p.m. on Friday by clicking here, or you can bring $15 cash with you on Saturday. You&apos;ll get a glow necklace, and you&apos;ll be a part of something great -- these Avon Orioles are donating all of their proceeds to the Hendricks Regional Health Pediatrics and Prenatal Care Unit. For more information about Avon Night Light, click here. These are just a few of the fun activities taking place in Hendricks County this weekend. For a complete list, visit our Events Calendar and then make plans to spend your weekend with us!